We are once again participating in Sign 2 Sing on Friday 10th February 2017. 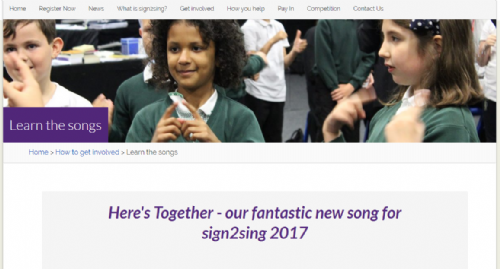 "Sign 2 Sing is an annual event, organised by the Deaf Health Charity SignHealth which raises essential funds to help vulnerable deaf children and adults." To support this event please could children please bring in a donation of £1 on the day. For more information about sign2sing and the songs your child is learning, please visit www.sign2sing.org.uk.